Unless your home was built or updated recently with energy efficiency in mind, you are likely spending hundreds of dollars a year in heating and cooling costs that could be saved through home insulation services. It just might surprise you just how quickly the cost of home insulation services can be paid back through lower utility costs. At Polk County Insulation, we can provide you with a years-to-pay-back estimate when we provide you with a quote for insulation, so you are able to see the full financial benefit of home insulation services. An energy assessment, also known as a home energy audit, is a great tool for finding out whether additional insulation or replacing current insulation in your home with a better product will be beneficial and to what degree. Not only will this inspection determine what R-value is currently in use, but it will also inspect how efficiently the insulation is working and if it has deteriorated or been damaged. An inspection is especially recommended on older homes in which the existing insulation could have deteriorated past the point of providing much, if any, insulating benefits and could even be posing a health hazard to your family. 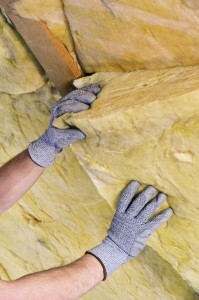 There are many options for adding insulation, including various types of insulation, areas to add insulation, and the type of materials to be used. With so many options, it is not difficult to devise a plan that gets the most utility cost savings possible within any budget. Any improvement is going to equate to utility savings, so even doing something is better than doing nothing at all. For more information about home insulation services in Winter Haven, Florida, contact us at Polk County Insulation.